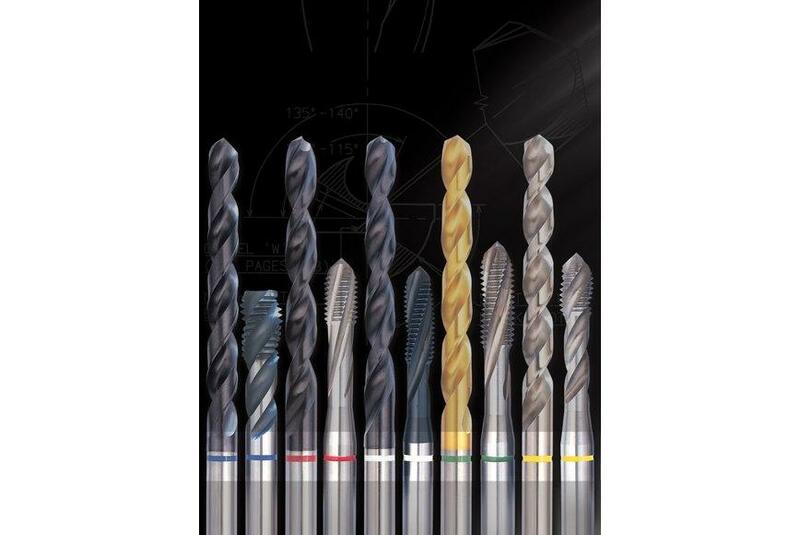 SOMTA Colour Band Application range of drills and taps is specially designed to optimize your machining performances. The need for greater productivity from expensive high-performance machine tools and the demand for the cutting tools to perform at optimum efficiency to minimize machine down-time, together with the demands for improved quality of machined components can be met with this range of Colour Band cutting tools. The geometry has been specifically designed for each material group to improve quality of finish and increase the tool performance. Stainless steels are used extensively for components and products that demand corrosion resistance and long life. The machining of stainless steels is difficult due to its work hardening properties, toughness and poor thermal conductivity, which places high demands on the cutting tools. The blue band has been specifically adapted to suit these difficult machining requirements. The mechanical properties of materials are influenced diversely by the addition of alloying elements and heat treatment processes, resulting in some high-strength, quenched and tempered steels or hardened steels. This range has its own unique set of machining requirements which are satisfied by the red band range of drills and taps. The alloying elements which achieve varying Aluminium Alloys have an effect on the machining properties of these materials. This generally creates a difficult chip formation and material which has tendencies to stick to the tool, placing very different demands on the tool. The yellow band contends with these machining difficulties. Having damping and thermal conductivity, with high strength and resistance to wear characteristics, Cast Iron is a material that is used extensively for mass produced components which all require machining. The SOMTA white band range of taps and drills has been designed to suit this demand. The machinability of different steels is just as varied as their properties. Soft-tough construction steels place completely different demands on the tools, and the green band combination of taps and drills has been perfected for this range of steels.